Democrats claim Trump lies a thousand times a day. Whenever Trump says CNN is fake news, that the Russia investigation is a witch-hunt, that NFL players protesting America are unpatriotic, that man-made global warming is a fraud, they say those are all lies. At the same time, they are standing fast by a story they reported that their source recanted and admitted he lied because they say they were reporting the truth that he said it. When someone tells you a lie and you knowingly share that lie then that makes you a liar. Saying that what you say is true when you relate a lie doesn’t make the lie true just because it’s true you said it. These are the kinds of stupid word games that liberals play. The people who call the police the KKK, who say ICE is a terrorist organization, and who claim Trump Republicans are more racist than Jackson Democrats, are consumed by the lies they tell. CNN and Democrats are smearing and slandering the righteous as racists. Trump called MS-13 terrorists “animals.” Republican candidate for Florida governor, DeSantis, says Floridians must not monkey up Trump’s economic boom and Democrats claim this was a dog whistle bullhorn to racists against their candidate because he’s black. Every time leftists say Republicans are the racists of the nation it incites the good people of Lincoln to stand stronger against them, not to bow down and apologize for Democrat’s lies of phony racist insults. Has there been an explosion yet at Lincoln’s gravesite as he must be spinning so hard that his coffin would burst into flames? Tell Gillam to shove his false accusations where the sun doesn’t shine! Democrats have taken up the cause of MS-13 as “children of God,” and say Antifa is justified in their terror attacks because they claim to be fighting racist Republicans that they say are all white supremacists. Leftists simultaneously claim that Antifa thugs are not part of them but embrace all for which they stand. They claim they are for legal immigration but embrace foreign invaders. They campaign on impeaching Trump over a pack of lies with the desire of anointing Hillary as ruler, and then back off when they see how their campaign polls. The Russia investigation has taken so many turns after finding no crime with which to accuse Trump that they have now turned to hiring hookers to slander him. Democrats never campaign on the truth of their policies. Leftists say Trump can crow about the economy and Wall Street growth when he creates more jobs than Obama and doubles the market as Obama did. Obama doubled the stock market by giving away $6 trillion in borrowed taxpayer dollars to his Wall Street cronies. Trump’s market increases are due strictly to his pro-business policies removing Obama’s high taxes and business choking regulations. Liberals believe tax cuts must be paid for as if everyone owes the government their wealth. Trump’s economy has increased tax revenue to greater than it was before his tax cuts. He has already seen job creation at four times the rate of Obama’s eight years. What part of profit do liberals not understand? That answer is they understand none of it. They only understand how to steal it. Republicans that join with Democrats are also part of the problem. McCain said he wished he had Joe Lieberman as his running mate. If this doesn’t convince you that McCain was a RINO wolf in sheep’s clothing what will? McCain despised Sarah Palin for her conservative Christian heart and the love she inspired in people. He called her rogue and yanked her back when she called out Obama on his socialist policies and his leftist character. He enabled a Moslem socialist to take power over America at a time the nation is at war with Islamists. He worked with Obama to manage America’s decline more than he ever worked with Bush or Trump to make America great. This is a prime example of how leftists infiltrate the right to corrupt, mislead, and obstruct good policy from within. Democrats are at war with their straw man caricature of Trump as a Grand Wizard of the KKK. Obama’s OfA is paying and inciting Antifa and BLM to riot and assassinate police. Trump is accused of multiple treasons and crimes against the country and for tax violations that no one can find. Instead, they slander him based on their misrepresentation of the Access Hollywood tape. They accuse Trump of tinfoil hat conspiracies of being spied on in Trump Tower as the DoJ deliberately ignores Obama’s illegally obtained FISA warrant to spy on his campaign. Leftists are deliberately censoring truth that conservatives reveal through a series of distractions, false allegations, and shadow banning. America is at war with the left once again waging an uncivil war on the right. 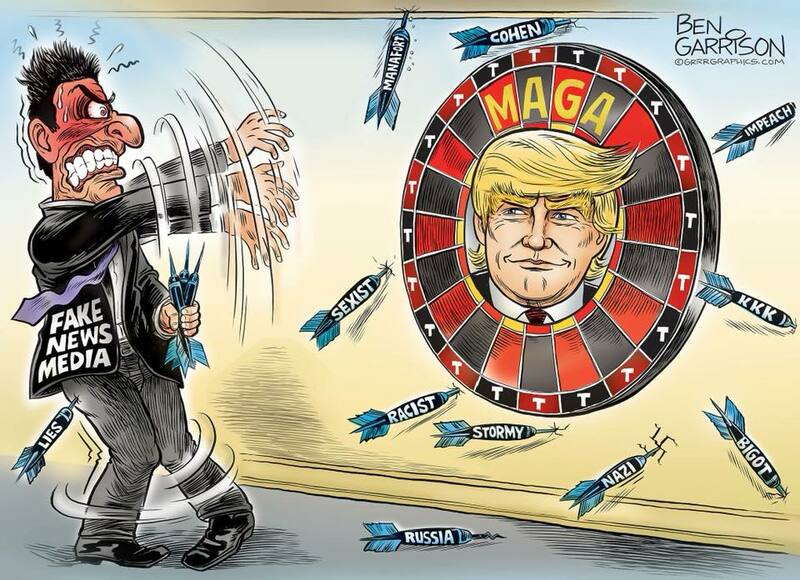 The Democrat coup that hopes to dupe Americans into overthrowing Trump making America great again in favor of having them manage America’s decline again. Pray that November sees Republicans overcome the Democrat voter fraud machine that will be stuffing ballot boxes like crazy in their effort to overthrow Republicans. MoralityCan We Still Recognize America?